And he didn't bat an eye at it. 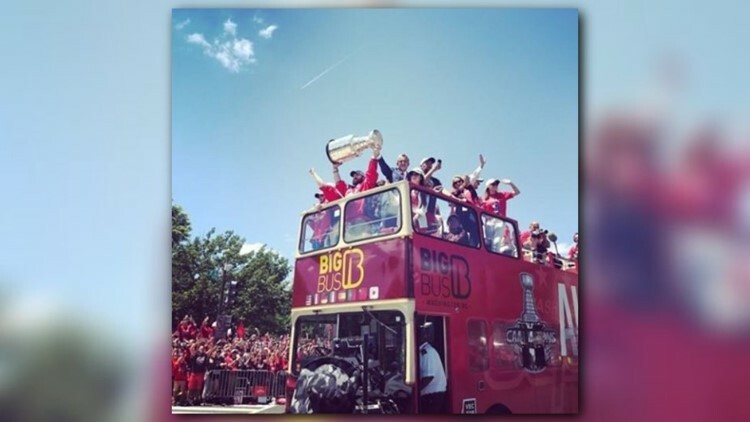 WASHINGTON (WUSA9)-- Tuesday afternoon was just the first championship that fans in D.C. had seen in 25 years! 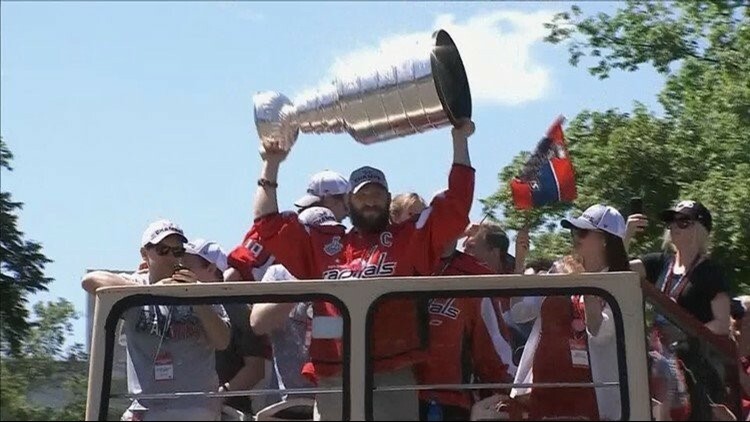 When you take that drought and add it to the 44 years that fans have waited to see the Washington Capitals just hold up the Stanley Cup, this day was long overdue. 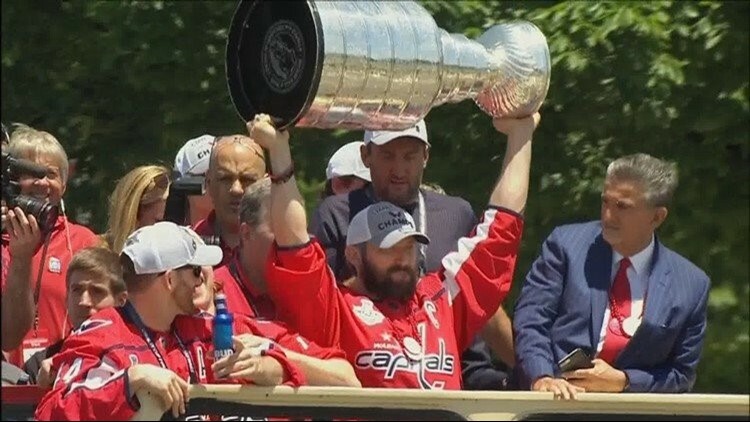 Capitals captain Alex Ovechkin had a long wait himself after being with the team for 14 years and not once being able to compete for the Stanley Cup. Ovi finally will have his name engraved on the oldest sports trophy and no one can take that away from him. And literally, no one could take the Cup away from him during the Stanley Cup Victory Parade. 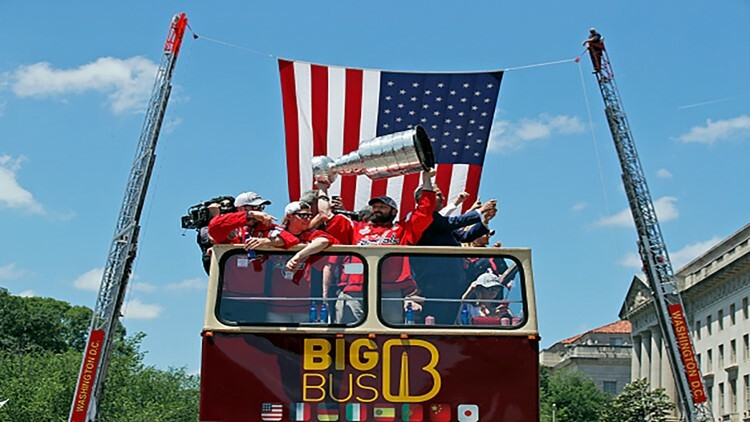 During the parade, Ovechkin lifted up the 40-pound trophy made of silver and nickel alloy at least 17 times! And, of course, the actual Stanley Cup made an appearance at the parade. Ovi hoisted it up several times for the cheering crowd. How are Ovi's arms not tired yet? It's like lifting a 15-foot canoe, a 3-year-old baby, or five gallons of water 17 times! And he didn't bat an eye at it. I guess when you have waited 14 years to lift this trophy just once, you want to lift up as many times as you can. Watch all of Ovi's trophy lifts in the video player above.